Earlier this month I was at an all-day event in Philadelphia that focused on composting in the Delaware Valley. 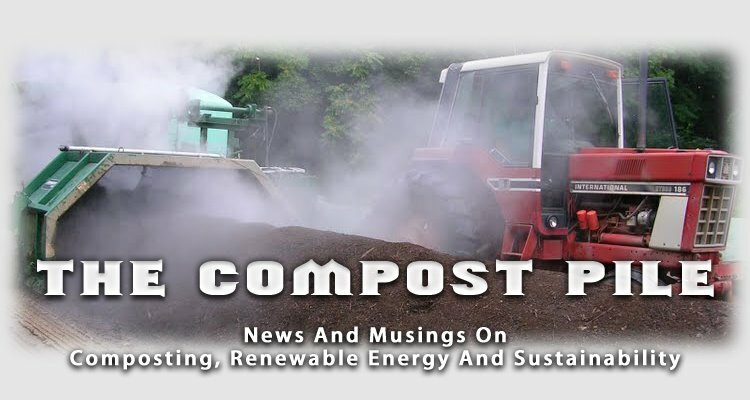 Titled "Compost Matters," it was co-sponsored by the Institute for Local Self-Reliance and the PA Horticultural Society. The key note speaker was Will Allen of Growing Power. Will's presentation was captivating, covering the astonishing depth and breadth of Growing Power's programs and outreach. There were also talks about: Peninsula Compost's new Wilmington Organic Recycling Center (WORC), which opened last December, and has the capacity to compost 500 tons/day; Two Particular Acres, which composts food waste from a variety of Philadelphia locations, including Four Seasons Hotel; a group of restaurants near U. Pennsylvania that are composting food waste on site; and a panel discussion about composting policies, which I moderated. Overall, it was a full day of people interested in setting up new food waste composting programs in the Philadelphia area. As food waste programs develop, there are several opportunities: WORC in Wilmington is close by, and the PA DEP announced a new permit that will make it easier for municipal yard trimmings sites to begin accepting food wastes. That means the leaf and yard trimmings composting site in Fairmount Park could soon begin to accept food wastes. Update: Conference presentations and videos are now available.